We all want to welcome guests into our home, and make them feel at home, to the point that we will bring out our best china and fluffiest towels. Yet, we often don’t tend to focus that much on the interior design of our guest bedroom’s as they are rarely used and when they are used, it’s usually just for a fleeting visit. 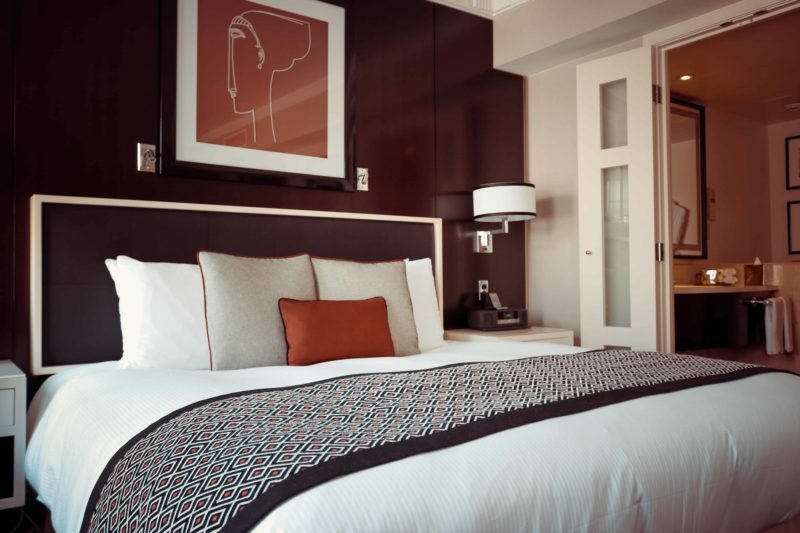 In this sense, our guest rooms can leave a lot to be desired, and if you are used to staying in beautiful boutique hotels that emphasize design and comfort as part of their philosophy, it’s possible you might feel like you are underserving your guests. Of course, you don’t want to turn your guest room into the anonymity of a five star hotel, you still want it to be personal and to feel like your guest is at home within your home – yet there are a few things you can do to “wow” your guests in the same way the Marriott chain of hotels have a philosophy of “wowing” their guests. In this article, we’re going to look at a few aspects of this. The first step is to consider upgrading your facilities, for instance, many people will end up putting an unwanted bed (that’s probably past its prime) in the guest room with little consideration for the comfort of it. Spend a night sleeping on the bed, and make sure it’s comfortable. Similarly, when it comes to the bathroom you might want to consider investing in some classy glass shower doors and upgrade the toilet or taps… as this often overlooked area contributes a lot to the experience of a guest bedroom. Sometimes, as the guest bedroom doesn’t tend to get much use, it can smell a little musty. You, therefore, want to consider the smell of the guest bedroom – enhancing it with natural aromatherapy oils or perhaps a plug-in air freshener. Just be aware that some plug-in air fresheners can cause allergies in people, particularly those with asthma. If you want to go the extra mile, then ironing the sheets will make for a much more luxurious bedtime experience. The feel of getting into ironed sheets is a world apart from sheets that have been crumpled up for a few months and quickly put on the bed in anticipation of guests. This little touch will make your guest room feel a lot more luxurious and comfortable. If you’ve ever been to a fancy design hotel and felt let down by the poor standard of toiletries on offer, you will know that you can stay in the most beautiful hotel in the world – but if they scrimp on toiletries, it makes you feel like you’re not staying somewhere as luxurious as you are. While your aim is not to get a five-star rating, it’s just to provide a more pleasant experience for your guests, supplying some decent toiletries can be a really good way to go the extra mile and make them feel like they are being treated like royalty when they stay over at your house. Many hotels today look for ways to tend to the unique needs and requirements of their guests, for instance, by providing them with their favorite newspaper. Whilst, this is your home, and you don’t want to replicate a five-star hotel experience… little thoughts such as having their favorite newspaper delivered, will go a long way to making them feel very special and welcome guests. In summary, when it comes to welcoming guests into your home and making your guest bedroom feel like a five-star hotel – the last thing you want is to replicate the formal affluence of a five-star hotel. You want it to be warm and friendly, yet comfortable and considered. In this sense, you want your guest to feel significant. That’s what it all comes down to. If you know your sister is visiting, for instance, and that her favorite scent is strawberry – going out and getting a little bottle of strawberry bubble bath or shampoo is a simple and cheap gesture that’s likely to make her feel very significant, special, and tended to. In this vein, anything you can do to go the “extra mile” and make your guest feel special and significant, is a good idea. Furthermore, you want to consider the guest experience by staying in the room yourself – after all, most guests aren’t going to tell you if you have a really uncomfortable bed that slants to one side… you need to experience it yourself and make sure it’s up to scratch.